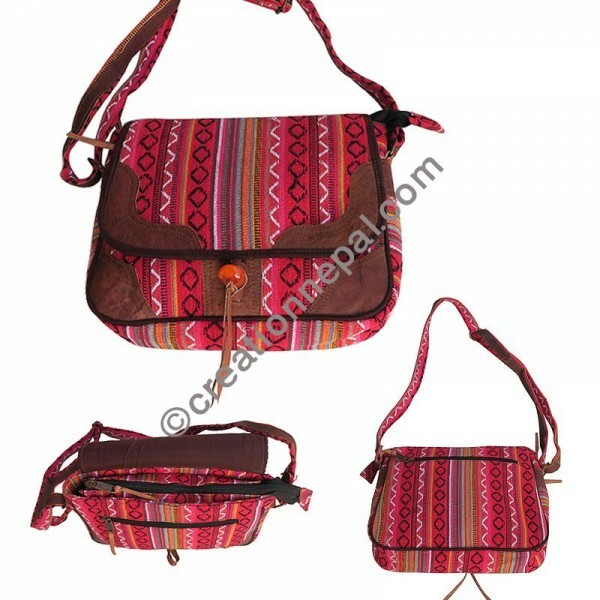 Gheri cotton fabric natural hand processed buffalo leather decoration and piping beautiful design medium size ladies cross body flap bag with padded cotton lining and loop bead close. One side leather attached adjustable strap is used in it. Since the Gheri-leather cross body medium bag is entirely handmade; the measurement may vary in each final product and the body colour can be different than it is shown on the picture. The given weight of the item is calculated for the shipping purpose, so that the actual weight can be different than it is mentioned here.